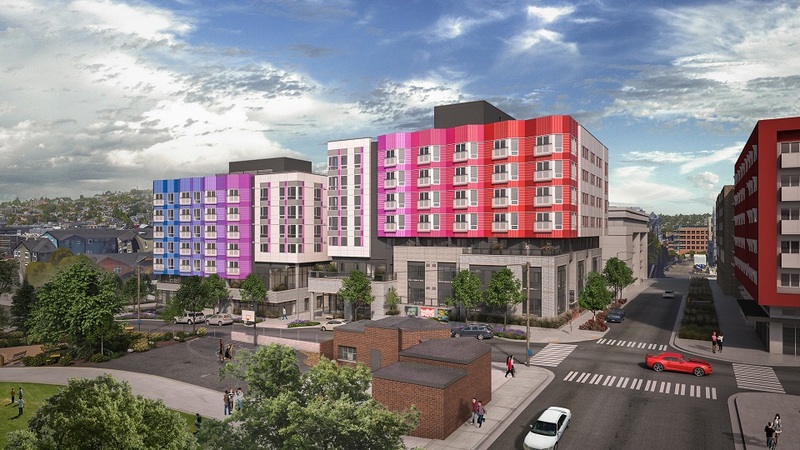 Chroma SLU will provide 275 apartments in the heart of Seattle’s South Lake Union neighborhood. The building sits immediately north of the popular Cascade Park, within walking distance to Amazon’s growing headquarters campus. The building will be a showcase for public art, prominently featuring murals designed by students at a nearby art college. Completion is scheduled for 2018.